The Supreme Court today delivered a split verdict in the Delhi government and the L-G power tussle. New Delhi: The Supreme Court bench of justices AK Sikri and Ashok Bhushan, which was expected to demarcate lines of power to both the Delhi government and the Lieutenant Governor on Thursday, has delivered a split verdict on the jurisdiction of Centre or Delhi government over appointment and transfer of bureaucrats. Justice AK Sikri today held that the transfers or postings of Joint Secretary and officers above are in the domain of the latter, while other officers fall under Delhi government. However, in case of difference of opinion, view of L-G will prevail. He also added that the Anti-Corruption Bureau (ACB) will come under the L-G, since the Delhi government has no authority over the police force. However, Justice Ashok Bhushan dissented from Justice Sikri on the issue of ‘Services‘ and said that all the officers fall under the domain of the Central government, hereby leaving the power tussle pertaining to the bureaucracy in a limbo. The Supreme Court bench has referred the issue to a larger bench to decide whether the Delhi government or Lieutenant Governor should have jurisdiction over ‘Services’ in Delhi. Reportedly, the right to set up Commission of Inquiry will rest with the L-G, while the Electricity Board will come under the Delhi government. The Supreme Court today pronounced its verdict on a batch of petitions challenging notifications issued by the Arvind Kejriwal government in Delhi amid a power tussle with the Centre. The Supreme Court bench started to read their verdict at 10:30 AM on nine petitions that were filed before the court in connection with the dispute. The hearing had concluded on November 1, 2018. The apex court ruled upon issues like the power to set up commission of inquiry and also who commands authority over the Anti-Corruption Bureau (ACB). 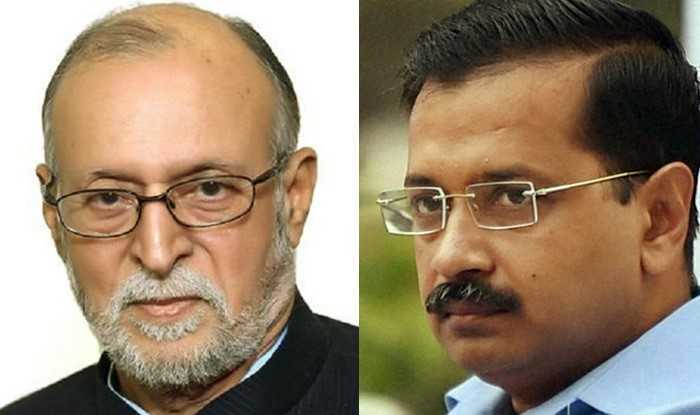 The Arvind Kejriwal-led Delhi government had long been at loggerheads with Delhi Lieutenant Governor Anil Baijal and his predecessor Najeeb Jung over who holds the power strings in the national capital. The Aam Aadmi Party maintained that it has had little to no say in the capital’s governance, despite being voted to power by a clear mandate. The Supreme Court, in its earlier order in July 2018, had ruled that Delhi cannot be granted statehood, as sought by the incumbent AAP government, but the Lieutenant-Governor has no “independent decision-making power” and must act on the “aid and advice” of the elected government.